2. Sprinkle sugar, salt and pepper powder on the chicken. 3. Keep aside for 10 minutes. 4. Add the chicken to the pan and stir-fry for a minute or two. 5. Add the mushrooms, onions and garlic. 6. Cook for a minute or two. 7. Add the tamarind extract and water. Stir well. 8. Add all the other ingredients and cook for a minute or two. 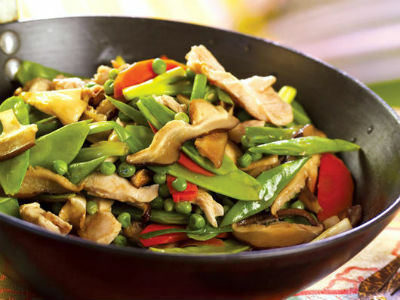 Feel free to comment or share your thoughts on this Tamarind Stir-Fried Chicken with Mushrooms Recipe from Awesome Cuisine.